Mrs. Harris came to Carden, first, as a parent in 2013. Two of her boys are currently enrolled, while her oldest has graduated from Carden and moved onto high school. She joined the Carden staff in 2016 as the playground monitor and Office aide and is excited to move into the position of the Kindergarten Teacher. Mrs. Harris holds a Bachelor's degree in Psychology with a minor in family studies and has her Early Childhood Certification. Mrs. Chavez was born and raised in Tucson. She first came to Carden as a parent in 2016. One of her daughters is currently enrolled in her last year of Middle School. Mrs. Chavez holds a Bachelors degree in Public Safety and Emergency Management as well as an Associate of Applied Science. In addition to teaching at Carden, she works as an ESL teacher for an online school in China. She enjoys spending time with her family hiking, cooking, exercising, and learning about new ways that benefit our health. Mrs. Chavez believes patience, encouragement, and keeping a positive atmosphere in the classroom will help each student succeed. Ms. Nichols holds a Bachelor of Science in Health Science, K-12 Teaching Certification from University of Arizona. 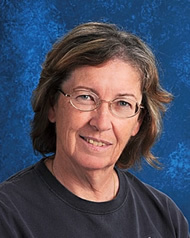 She joined Carden of Tucson Staff in 1999 as the Health Science, Physical Education, Art Teacher, and PTO member. In 2003, Ms. Nichols began an extensive journey in Health Sciences, Therapeutic Massage Certification, Language Arts, and Structured English Immersion Training. Returning in 2010 to Carden as Kindergarten Assistant and Substitute Teacher K-8. She is in her third year as 2nd Grade Primary Teacher. She thrives in teaching Math and Language Arts. Her gift is motivating others to pursue their dreams! Mrs Gardner is one of the founding members of Carden of Tucson. She joined the faculty in 1980 except for a few years when her children were young. She has taught most of the grades but the majority of her years have been in Third Grade. Because of this experience She understand how the Carden curriculum develops and interrelates from year to year. She creates a fun and loving feeling in her class where students feel comfortable and are encouraged to learn. Mrs Gardner believes, without a doubt that "Third Grade is the BEST!" Mrs. Korth is originally from Southern California, but has lived in Arizona for the past 24 years. She has had many interesting jobs throughout her life. For example, she has worked in the defense industry doing computer aided design, three dimensional design and printed circuit board design. Her principal focus has been music and she has taught music for the past 35 years. Her main instrument is the piano, but she also plays the organ, guitar, and flute. She has been on the board of the Arizona Music Teachers Association and the Tucson Music Teachers Association. She taught music at Carden for 2 years, kindergarten for 2 years, and she taught French, Health Science, Algebra I and Algebra II, and Band one year. Her hobbies include writing music, gardening, sewing, crocheting, knitting, painting folk art, and doing genealogy. Ms Stoner holds a Bachelors of Arts in Elementary Education from the University of Arizona. 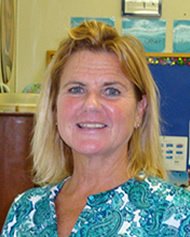 She joined the Carden Faculty in 1994 as the fifth grade teacher. She loves sports (especially baseball and hockey). She is a member of the Jane Austen Society and loves English literature. She loves to travel and has visited Canada and the most of the United States. I spent the first 28 years of my working life as an engineer/propulsion plant supervisor, both active duty Navy in the nuclear submarine program and as a civilian engineer at Puget Sound Naval Shipyard in Bremerton, WA. While in the Navy I graduated from the University of NY Regents College with a degree in engineering and liberal studies. I taught college level mathematics at a community college for 10 years, where I got the teaching bug. In 1998 I took the plunge and retired from government work and became a Math and Science teacher, teaching in WA state and here locally. I have a masters certificate in teaching from the University of Phoenix and a masters in educational technology and curriculum from City University in Seattle WA. I retired in 2010 and planned on playing a lot of golf, doing a little traveling, and you know…enjoying life. Here it’s 2018 and I’m not retired anymore. Life sometimes works out in very mysterious ways. I have a wife of 46 years and two adult children. My daughter lives just a rock throw from Carden with her husband and three girls, our granddaughters. My son is a certified AZ teacher but has not been able to teach for quite some time. He recently had a kidney and pancreas transplant at Mayo Hospital in Phoenix. He’s doing pretty well now. 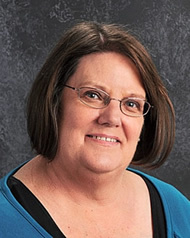 Ms. Chilton joined the Carden Faculty in 2004 after working ten years in all aspects of the computer industry. She holds Masters Degrees in Anthropology from USA. Elementary Education from the University of Phoenix and School Administration from GCU. She holds Middle School endorsements in middle school mathematics and language arts. 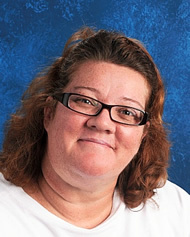 Ms. Chilton is the eighth grade homeroom teacher and teaches middle school social studies and pre-algebra. Ms. Chilton has a love of literature, history and religion. She is a great fan of the outdoors and hiking. Ms. Jones grew up in Southern California and has made Tucson her home since 2009. She has been at Carden since 2010. She began her career in education in 2008 as an English conversational instructor and Music and Creative Movement teacher in Okinawa, Japan for 18 months working with students ages 2 years through adult. When she returned to the States she began working as a teacher’s aide and before and after school care teacher. It was shortly after that she made the decision to obtain her Bachelor’s in Special Education to become a certified teacher. During the years that she attended Western Governor’s University she has served at Carden as a Special Education teaching assistant, first grade aide, and Kindergarten aide as well as filling in occasionally as a substitute for all grades. This experience, while being concurrently enrolled in her Teacher College program, has given her hands on training in the teaching profession as well as seeing the Carden Method modeled for her by all the Carden of Tucson teachers. She graduated in 2015 and holds highly qualified certification in both General Education and Special Education. Coach Hendricks joined the Carden community in 2010 as the kindergarten through 4th grade P.E coach and health teacher. Prior to that he was a part of the leadership team for the after school program provided by Carden. He received his Bachelors in Physical Education from the University of Arizona in 2010 after also pursuing educational opportunities through Pima Community College. He has participated in numerous athletic organizations such as AIT (Athletes in Training) and the YMCA. Coach Hendricks was also the assistant coach for the Arizona School for the Deaf and Blind track and field program and also the assistant coach for the Pusch Ridge Christian Academy swim team. 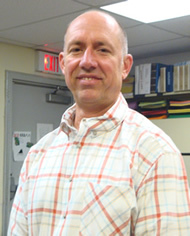 He holds a CPR and First Aid certification and also AED, Lifeguard, and Coaching certification. Coach Henricks’ goals are to provide a physical education program in which students are encouraged to learn about health and fitness, the importance of team building, sports skills and strategy. Coach Hendricks is also responsible for the extra curricular sports opportunities through in the CAA (Canyon Athletic Association ). Basketball, Volleyball, Cross Country and Track and Field are the main sports at Carden. Carden has won twelve State awards in the CAA and four State Championships. Coach Hendricks was the 2014-2015 Coach of the Year in Boys Track.